Milly’s Café at No1. – and it’s not just an address. 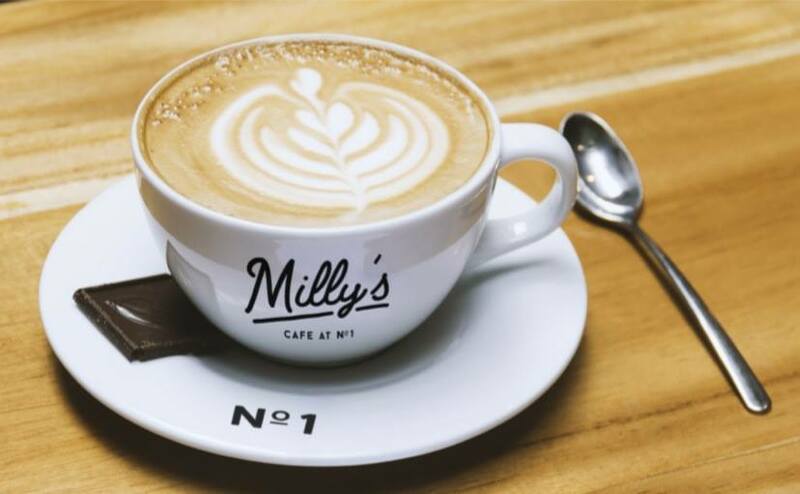 If you have a passion for a good cup of coffee, a tasty snack and love socialising, then you will enjoy the welcome and atmosphere at Milly’s. And if location counts you can’t go far wrong as Milly’s is situated opposite Moorend Recreation Ground. Whether you are walking the dog, taking the kids to play on the football pitch, passing by after dropping the kids off at school or just taking a morning stroll; Milly’s is the place to re-energize, relax and warm up with a hot coffee and crumpet. But Milly’s is not just for Breakfast. Bernadette Samuel’ who launched the Café, realised people and the community are the centre of all things and locals need somewhere to go throughout the day. As a result the café covers all needs from lunch on the go, a quick coffee, a catch up with friends and even free WiFi for the kids. Bernadette has devised a menu for all, however your day starts or ends, and whatever you get up to in the park. Make a visit to Milly’s part of your routine and your No 1 stop. A successful business may be fuelled by coffee and passion but planning and research are central to getting it right. When Bernadette was introduced to the Start Up team they worked together on the business and financial planning to make sure that the numbers added up. If you are looking to start a business, want to chat through your ideas and make sure your numbers add up contact the Start & Grow team; especially if you are looking to raise finance. They will be happy to offer guidance and advice and help you become No1. Milly’s at No 1. Hunsworth Lane. Cleckheaton.